We all have availed the services of a courier company at some point in time. Whether it is for professional or personal reasons, it is essential to ensure prompt and safe delivery of our parcel to its destination. A lot of commercial delivery services are present in the market for this purpose, but you should know the answers to the following questions before selecting a parcel delivery service for your package. What does the estimated shipping cost? If you do a bit of research, you will be able to estimate the range within which the actual shipping costs will fall. It is advisable to do this homework before approaching any courier service. In this way, you will be able to compare the quoted price and the researched price and come to know if the courier company is charging you more. This is especially true for international shipments. Because many clients don’t have an idea about international shipping and delivery costs, many courier companies dupe them and charge way more than they should. What are the items that are prohibited? This is another caveat that needs thorough research. Depending on the shipping type (by air, by ship or by road), and on the origin, transit points, and destination, there may be separate lists of prohibited items. Therefore, you should make sure that your package is not rejected or quarantined during shipping. Any discrepancy in this regard will lead to a delay and may cause financial or other loss. Parcel delivery can be made hassle-free and quick if this simple step is followed. What material would be used for packaging? It is true that your packages need to be packed in a manner that they are not broken or damaged by weather conditions. However, it is equally important to choose the lightest packaging material that serves all these purposes. Many courier companies add unnecessary weight while packing your contents. This should be avoided as much as possible. Since packaging material can add a lot of weight, the cost of your package may go up unnecessarily. Therefore, you should know what packaging material is being used for your parcel. How will you keep a track of the shipment? 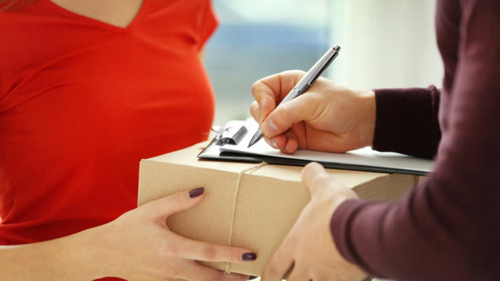 It is of utmost importance that the courier service you choose for your parcel delivery gives you a tracking id. The company should regularly update the location of the parcel and make it visible on the tracking website. Also, any unforeseen delay should be notified to the customer.A comparison of the average delivery times of different courier services should also be done to have an idea about the time-frame to be expected. These things are very important for international shipments, but should not be overlooked even in case of local shipments. Before choosing any delivery service for shipping your package, you should ask them the questions mentioned above. In addition, you should choose only those companies that have carved a name for themselves by their service record, as evidenced by customer testimonials.